While legalization of marijuana in many forms – and in many states – garnered over $5 billion dollars in 2015, the sums are expected to grow for 2016. More unique products are being created, and the stigma that once surrounded reefer is slowly fading. 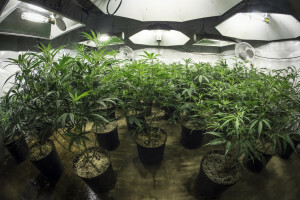 These changes are helping the industry to boom, even though it is still a federal offense to sell, grow, or possess it. The Feds are hating this legalization, but they must be loving the taxes that the government is gaining from these sales. With 23 states and D.C. allowing medical marijuana and four states — Colorado, Washington, Oregon, and Alaska — plus D.C. legalizing pot for recreational use, sales are bound to keep creeping up. Combine that with Colorado’s legalization of Cannabis Oil for multiple illnesses, which is bringing a mass of children and their parents to the state for its use. While $5 billion may not sound like a lot for one product to bring in, let us put that into perspective with other products. For example, McDonald’s brings in over $1 billion alone in Big Macs. The iPhone rough in over $1 billion in the US alone last year, as well. Compared to the Big Mac and iPhone, legalized marijuana is hitting the jackpot – especially considering that there is an age restriction and it is sold in less than half of the US states. New products, such as baked goods and lollipops are helping fuel those who are hesitant to smoke up their greens. While these gourmet products are on the pricier side, they are a growing trend in Colorado. Also, medical marijuana is gaining steam, prompting more merchants to get involved. The problem is the lack of medical marijuana payment processing options available in the USA. This is due to the Fed’s illegal stance on the industry, and the overall chargeback rates of the industry. While tough, it is possible to find a payment processor for legalized marijuana businesses, from medical to recreational. The key is to look for a processor who specializes in the industry, and not just a generic “high risk” scattering of companies. There are unique risks and challenges to the legalized marijuana industry and it is important that your payment processor is familiar with these issues. Get Medical Marijuana Payment Processing today! This entry was posted in Marijuana Industry and tagged Medical Marijuana, medical marijuana payment processing, Medical Marijuana's Biggest Year by admin. Bookmark the permalink.